What's the best way to write a "next level" novel? Some writers start at the beginning and let the story unfold without a plan. They are called "pantsers," because they write by the "seat of the pants." Other writers plan and outline and know the ending before they start. These are the "plotters." The two sides never seem to agree with each other on the best approach. But what if it's not the beginning or the end that is the key to a successful book? 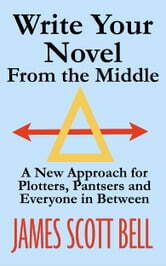 What if, amazing as it may seem, the place to begin writing your novel is in the very middle of the story? According to #1 bestselling writing teacher James Scott Bell, that's exactly where you'll find your story's heart and heat. Bell's "Mirror Moment" is the secret, and its power is available to any writer, at any stage of the writing process. Bringing together years of craft study and personal discovery, Bell presents a truly unique approach to writing a novel, one that will stand the test of time and serve you all your writing life. I found this little book fantastic. 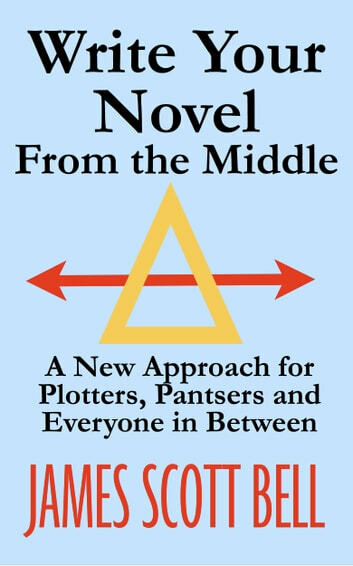 He presents an approach to plotting that is new to me and I love. It is a concept that has enhanced my long form fiction no end as those who have read my stuff will attest. What more can I say but get the book.